Do you know someone that keeps a birding lifelist? Commemorate & celebrate 500 lifelist birds with this medallion-style design. 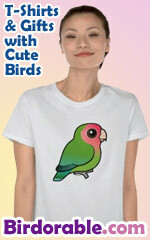 This makes a great gift for the birdwatcher on your list!